“Take Harlems heartbeat, make a drumbeat. Visit an informative and fun interactive site at MetMedia. Listen to the sounds that inspired Romare, discover the hip artists he grew up around. We were first introduced to Romare Bearden through a picture book inspired by his life titled “Me and Uncle Romie” by Claire Hartfield. “The Block” is also a rich text that poetically places the collages of Romare Bearden alongside poems by Langston Hughes. I read aloud the poetry to students or have them perform it for the class, then ask them to search for visuals within his mural sized collage that illustrate the terms, sounds and visuals they hear. 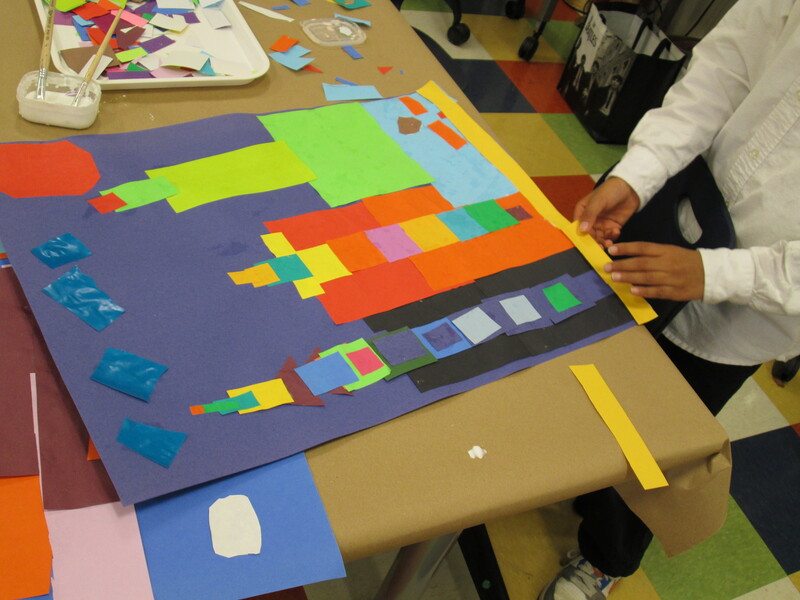 Students utilized their knowledge of paper collage to construct a selection of urban buildings. These were then collaged to a colored background and accordion folded for a 3-D effect. 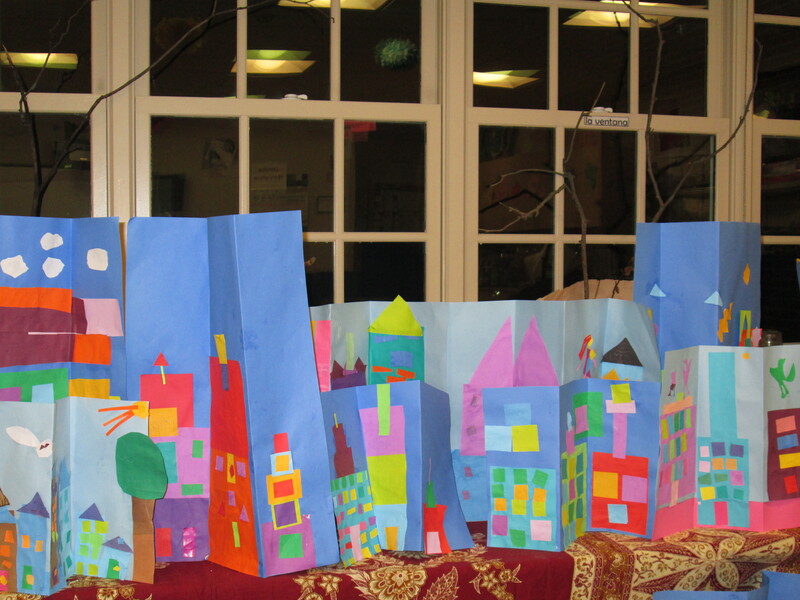 Writing poetry about urban experiences would be a great way to incorporate literacy into this rich art making experience and bring it full circle in connection with the era in which Romare lived and prospered as an artist.